· As stated in the journal template, Turkish and English abstracts should be between 150 and 200 words. These abstracts should be followed by 3 to 5 keywords (Turkish abstracts will be translated for the submissions of international authors). 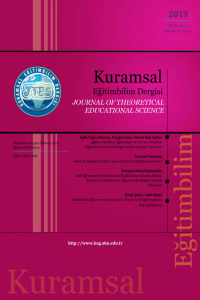 For the manuscripts in Turkish, JTES requires an extended summary between 750 and 1000 words summarizing aim and significance, method, results, and discussion and conclusion.